The Lost Door by Marc Buhmann is a thrilling and suspenseful horror fiction read. The story takes place largely in the peaceful and scenic (or so you think) town of River Bend, Wisconsin. Four strangers, each with deep, dark, shocking pasts and hidden secrets, are drawn together on an unyielding and startling path. The characters include a deputy investigating a pretty gruesome murder, a man who returned from a twenty-year absence (just what was he doing all that time? ), an alcoholic mother, as well as a guy whose abusive father disappeared when he was just a boy. The book is a real page-turner and raises so many questions in the reader’s mind as to what exactly is going on, what lies beneath the seemingly calm exterior of River Bend and why are these strangers drawn together? I think the shocking conclusion will be on readers' minds for some time. 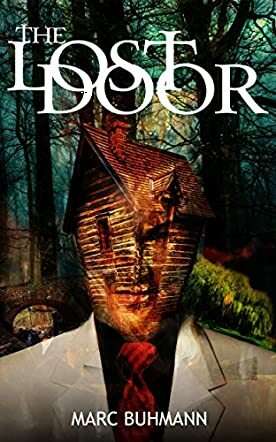 I found The Lost Door to be an entertaining and intense read. The author does a superb job in keeping the mystery and suspense going throughout the entire book. Buhmann has his characters drop just enough hints and raise just enough questions to keep readers in the dark and guessing until the very end. There was a lot of talking and long segments of dialogue throughout, but it didn’t make the story drag, in my opinion. I think horror, mystery, suspense and thriller genre fans will find a lot to like in The Lost Door by Marc Buhmann.